I am a hundred and ten percent in full Christmas mode. Consider yourselves warned, the is about to be a complete overload of Christmas posts coming to the blog this month! The day after Thanksgiving my heart does a little flip, not because it’s black Friday…, but because that is the day all of the Christmas ornaments, lights, trees start to go up; it is time to deck the halls! The amount of bows, glitter, and twinkle lights that are acceptable around this time of year only seem to add to my Christmas spirit. The day after Thanksgiving is the day that my family has always sets off in search of the ‘perfect’ Christmas tree. There’s nothing like walking around a Christmas tree lot at dusk, hot chocolate in hand, globe lights overhead to light the way to the different sections of trees, a fire burning nearby, and the smell of pine trees everywhere you turn to get you in the Holiday mood. 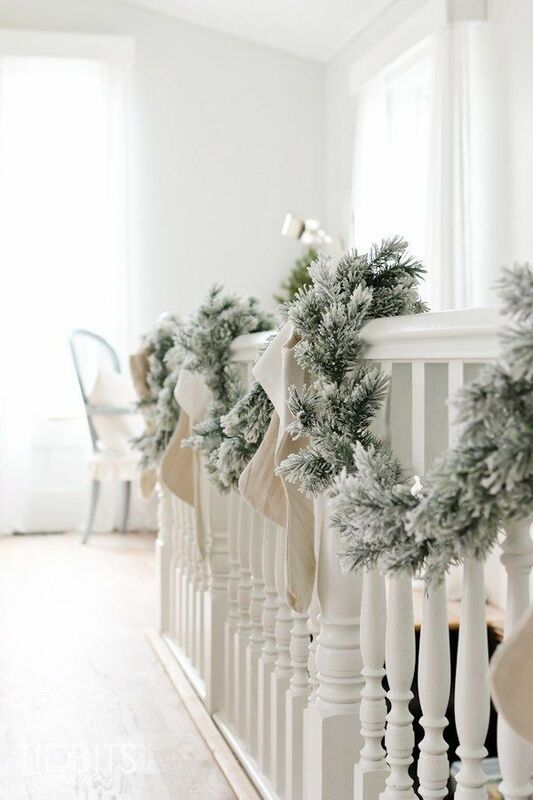 Since it is officially time to deck the halls I thought I would share a little Pinterest Christmas décor inspiration with you all! Thanks a lot for sharing the wonderful Christmas inspirations! Thank you for taking the time to read! And I'm so glad to see that you enjoyed this post! 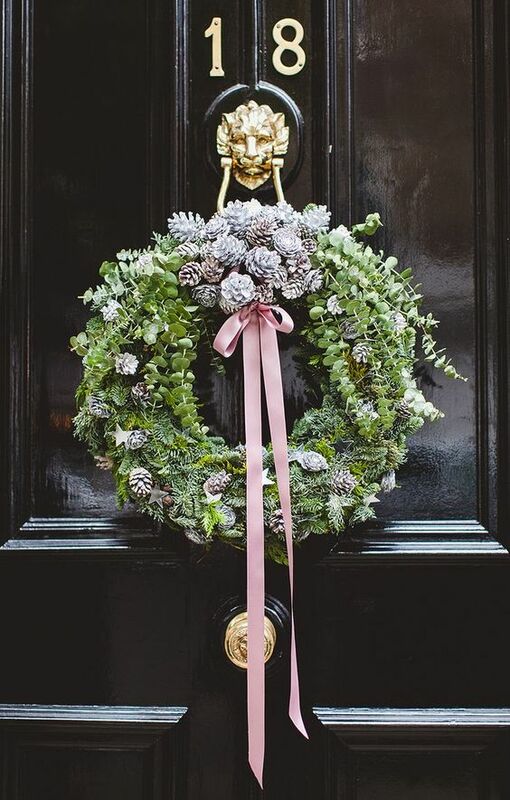 Love that first wreath! So pretty! I love how classic it looks and that double sided silk bow is perfection!